The J wave syndrome is a recently recognized entity which includes rare diseases with different etiologies. 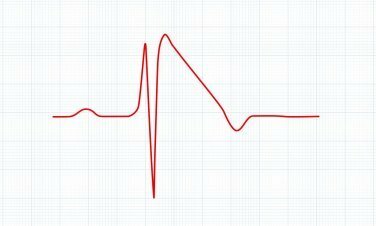 It constitutes an electric disorder of the heart characterized by a specific pattern on the electrocardiogram. It is caused by the abnormal function of some cardiac ion channels. This abnormality predisposes to the development of ventricular arrhythmias that can cause syncope, cardiac arrest or sudden death, these often constituting the first manifestations of the disease. Patients diagnosed of early repolarization, defined as a J-point elevation in ?1 mm in ?2 contiguous inferior and/or lateral leads, and showing some of the following characteristics: personal or familial history of sudden death; history of syncope of unknown origin; presence of ventricular fibrillation of unknown origin. Relatives of patients diagnosed with J wave syndrome. HRS/EHRA expert consensus statement on the state of genetic testing for the channelopathies and cardiomyopathies: this document was developed as a partnership between the Heart Rhythm Society (HRS) and the European Heart Rhythm Association (EHRA). Ackerman MJ, Priori SG, et al. Europace. 2011 Aug;13(8):1077-109. The probability of detecting a pathogenic mutation when a patient presents J wave syndrome has not been clearly established. The panel includes all genes with clinical or functional evidence of association with this entity. Many of these genes are associated with channelopathies whose electrocardiographic manifestation overlaps with the one corresponding to this syndrome, such as Brugada syndrome, ventricular fibrillation and early repolarization. In certain subjects, this manifestation constitutes a marker of sudden death risk. Priority Genes: These genes include >70% of the mutations that have been previously associated with the development of the disease and/or their testing is recommended by the guidelines. Secondary genes: Other genes related to the disease. *Candidate genes: With no evidence, but likely to be related to the phenotype.